Chocolate and peanut butter just go together. 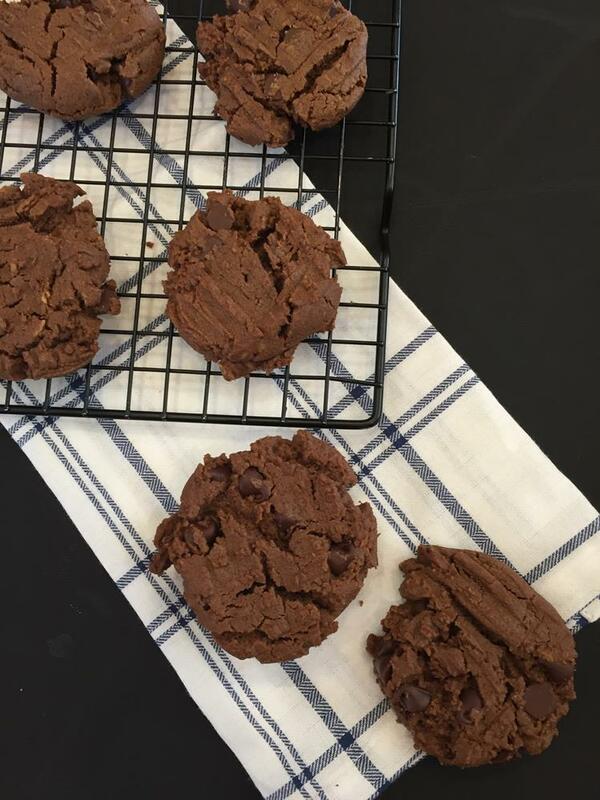 And when you mix them together in double chocolate flourless peanut butter cookies you have just about the perfect quick and easy dessert. It is no secret that we love cookies at our house. We love to make them and we love to eat them. 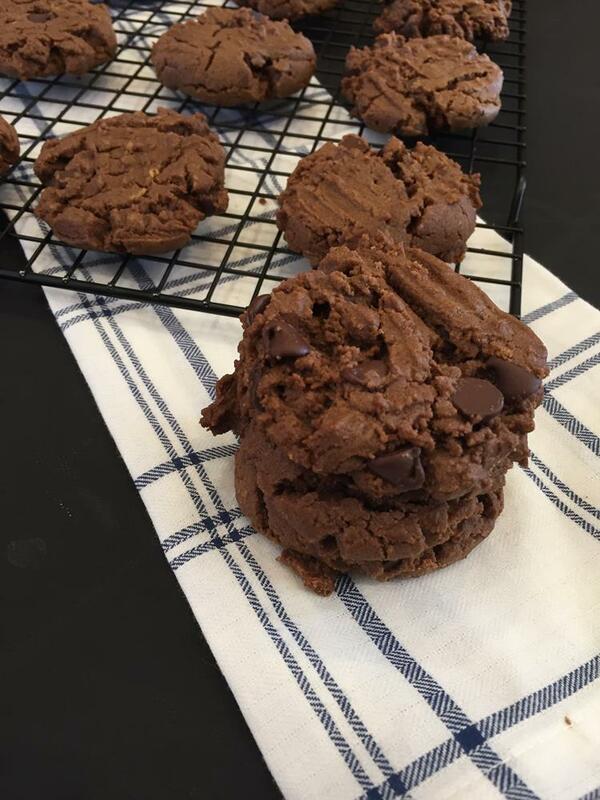 Chocolate cookies are one of our favorite types of cookies to make. In fact, the majority of cookies that we make contain at least some form of chocolate. We love the basic flourless peanut butter cookie with chocolate chips, but I also enjoy changing it up by adding baking cocoa and chocolate chips to it. Double chocolate makes peanut butter even better! One of the things I love about these cookies is that they are gluten free, but since they are flourless, they are regular cookies that just happen to be gluten free. No weird ingredients in these. No one will think twice about these being gluten free. They are that good! If you have a peanut allergy like we do in the family these work will with sunbutter. 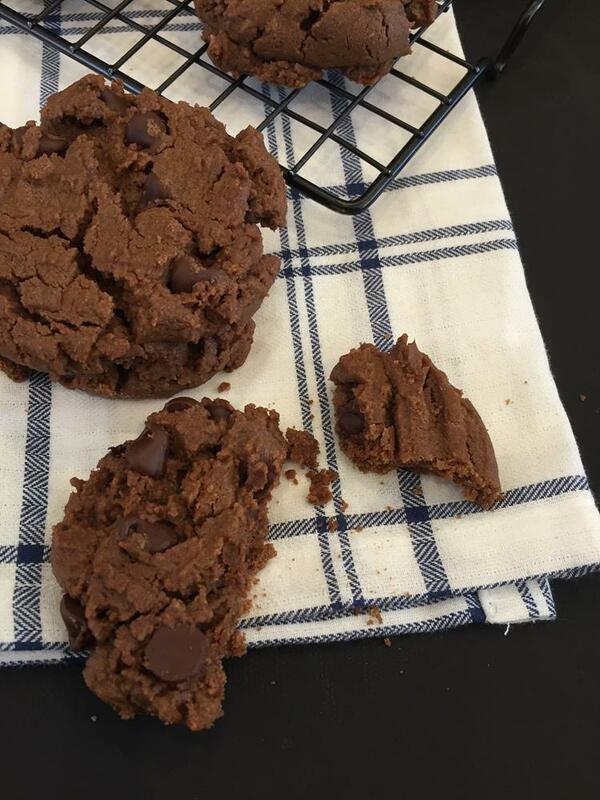 Easy flourless cookie recipe that uses basic ingredients. Combine all the ingredients, except chocolate chips in a bowl and stir with a wooden spoon until smooth. Scoop onto cookie sheet using about 2 tablespoons dough per cookie. Flatten cookies slightly or flatten using a fork. Bake the cookies at 350 for 10 minutes or until cookies are set. Remove the baking sheets from the oven and let the cookies cool on the sheets for 3-4 minutes. Then remove them onto wire racks to cool.